I am thrilled to present a new Climate Stew video. Although Elizabeth Jeremiah has been beating down my door with a new video, I persuaded her to wait another week since her last video about Jesus and the Curious Case of Global Warming. With the launch of the new Citizens’ Climate Radio show, I decided to write a new monologue. As a character actor, I have collected a gaggle of characters who help me to better understand myself and the world around me. I need them right now as I have been going through many rapid changes. And it is all because of Global Warming. I thought about the past four years from the moment I first became alarmed about climate change to this moment when I am connected to thousands of people seeking solutions. That I feel hope right now is a testimony to the individuals and organizations who have helped to see that there are ways forward. Through these comic characters, I want to share with you The Five Stages of Hot Climate Action. And I wonder if you can relate to them. Which one represents where you are right now? What would you add or change. F r e a k O u t Stage: This is when the penny dropped and I suddenly realized just how serious climate change is. This is the Freak Out stage. Strange but my freak out voice sounds a lot like my father. Toying with Denial Stage: After freaking out for a while the pendulum swung a little to the other side as I toyed with denial. And in my head this is what denial sounded like. This month I joined over 800 people who spoke with US lawmakers about climate solutions. 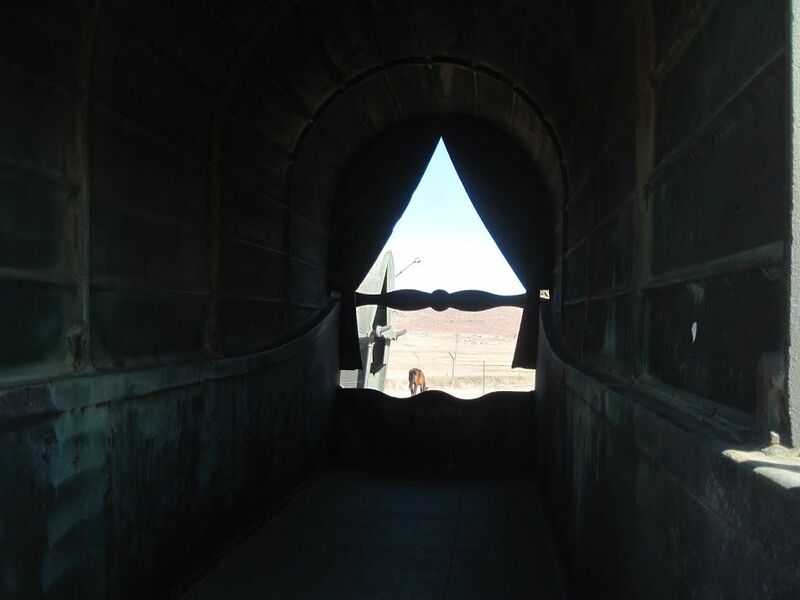 The Personal Purge Stage: But I could not drive away reality, so the guilt and shame kicked in when I realized that I was part of the problem. In response I attempted to purge my life of all greenhouse gases. The Despair Stage: Then it happened. The despair descended upon me. I realized that my individual efforts were pathetic in light of the size of the problem. The Hope and Engagement Stage: But then something happened. I met likeminded people seeking solutions. And I found hope. And even after a Brexit my hopeful voice sounds British. I will let my characters describe it all for you. See if you can recognize any of them, and let me know about your stages of hot climate action. Amazing. 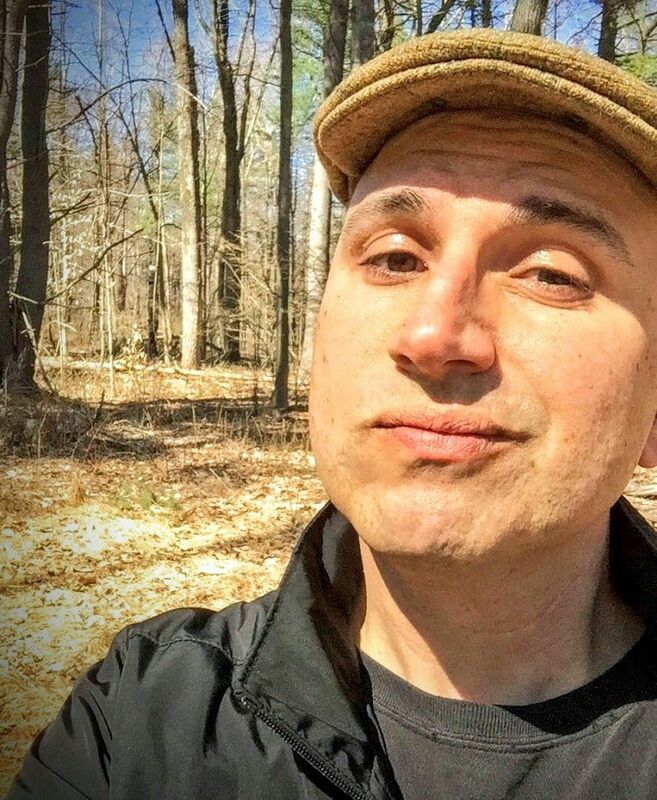 I just posted the 50th episode of the Climate Stew podcast. And it is the LAST episode. Nice to end on a significant round number (nothing against you 49 or 51). While I will continue to write blog posts and produced videos through Climate Stew (check out Elizabeth Jeremiah talking Jesus and greenhouse gases,) we end the podcast. I will move on to start Citizens Climate Radio airing June 27. But we had a number of loose ends to wrap up. In Episode 50 we chat with Dr. Jen O’Brien, my go-to person for all things science education and pop culture updates. She is a brilliant high school teacher. I think you will learn a lot from her teaching experience and how it has changed through the years. Jen is a master communicator when it comes to climate change. Meet Joe Gee at last! 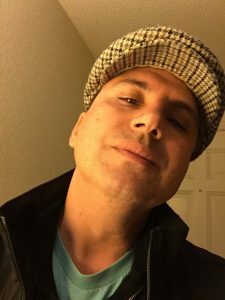 I also interview the elusive and ever snarky Joe Gee, who I thanked at the end of every Climate Stew episode. He gives me lots of grief, but busting people’s chops is his love language. Elizabeth Jeremiah and Marvin have a blowout argument, but whoa how it gets resolved will make your head spin. I then end the show with a Citizens Climate Puzzler–and give you a chance to respond! Creating the podcast has been a labor of love but also an excellent way to learn about climate change and climate communication. I hope you enjoy this final episode of Climate Stew and that you follow me over at Citizens Climate Lobby. 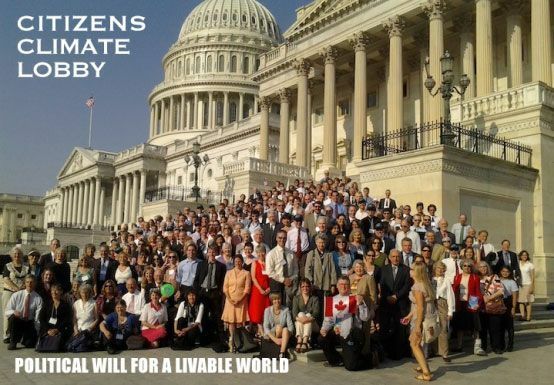 Just subscribe to Citizens Climate Lobby over on iTunes or find me at their blog. I will also cross-post here at Climate Stew. Back in the day when I attended Pentecostal Holiness churches, in addition to believing most people were chock full of demons, my ministers also warned us of generational curses. The sins of the fathers fall upon the heads of the sons to the third and fourth generation. 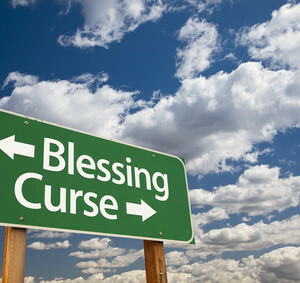 Is it a Demon, a Curse, or Both?? When no amount of repenting rid us of our homosexual inclinations, the ministers assumed we have a naughty ancestor (usually a sailor) who must have diddled with another man. As a result, like a demonic gene mutation, the man on man lust got passed along to us. They insisted we must break the power of these curses if we wish to live a good, clean life in the future. Well, drawing on that experience, I present to you Elizabeth Jeremiah, a fierce minister of the Gospel, with a word for you. And like often happens with this character, she doesn’t end up where you might expect her to go. She has a thing or two to say about our evil, sinful, polluting ways. On the newest episode of Climate Stew podcast we unpack what the experts are saying about successful climate communication. What works? What would we do well to avoid? I am joined by Elizabeth Jeremiah as we consider an article by that reveals: Here’s Everything we Know about Talking about Climate Change. We also share good news about a legal challenge put forth by a group of young people. Turns out when youth talk to adults about climate change and their futures, the adults listen with more attention. Finally, Marvin Bloom explains why he has a soft spot for climate deniers. He also makes a big distinction between people struggling to wrap their heads around global warming and all it means with those companies that have gone out of their way to deceive the public. This will be the penultimate episode of Climate Stew. Enjoy Ep. 49 and in a few weeks join us with Ep. 50, our final episode. It will be chock full of special guests. If you want to share your own message with us, leave a voicemail at 570 483 8194. Want to be a better Climate Change Communicator? This is the episode for you. 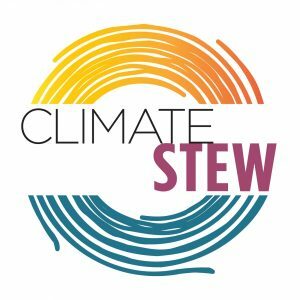 In Ep 49 of Climate Stew we review some of the most effective strategies for talking about climate change. 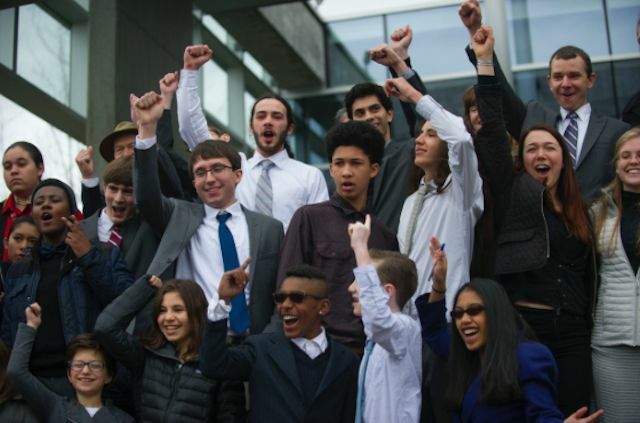 We also have great news about a lawsuit brought filed by a group of American young people who demand that adults act on climate. And Marvin Bloom helps us understand the difference between climate denial and outright lying. Peterson also reminds listeners that very soon Climate Stew podcast will produce its 50th and final episode. He has been invited to create a brand new show on another platform. But the good news is that he and the Climate Stew Crew are beginning to produce new videos! Hello you have made it to episode 49 of Climate Stew. This is airing on Monday May 2, 2016. I am your host Peterson Toscano and I’m excited to be with you once again. And I’m excited about today’s show as we look at both strategies and successes when it comes to climate change communication. Here’s what we got cooking for you today on Climate Stew. In the news I will follow up on a story we first covered back in episode 30. A group of teens has sued the US government on behalf of future generations. They are demanding climate action. We have breaking news about that lawsuit. In our Main section, Elizabeth Jeremiah and I will share with you helpful, proven strategies about what you can do to be a better climate communicator. And of course Marvin Bloom is chomping at the bit to get something off his chest. This time about climate denial. Again. Our climate news story is about climate legal action. Back in Episode 30 I told you about eight young people in Washington State who were so concerned about climate change and the inaction of adults, they took matters into their own hands. In June of 2014 they filed a lawsuit against the Department of Ecology in Washington State. I reported that the state of Washington baulked, but a judge ordered officials to meet with the youth to address their complaint. This was a historic ruling. What has happened since? 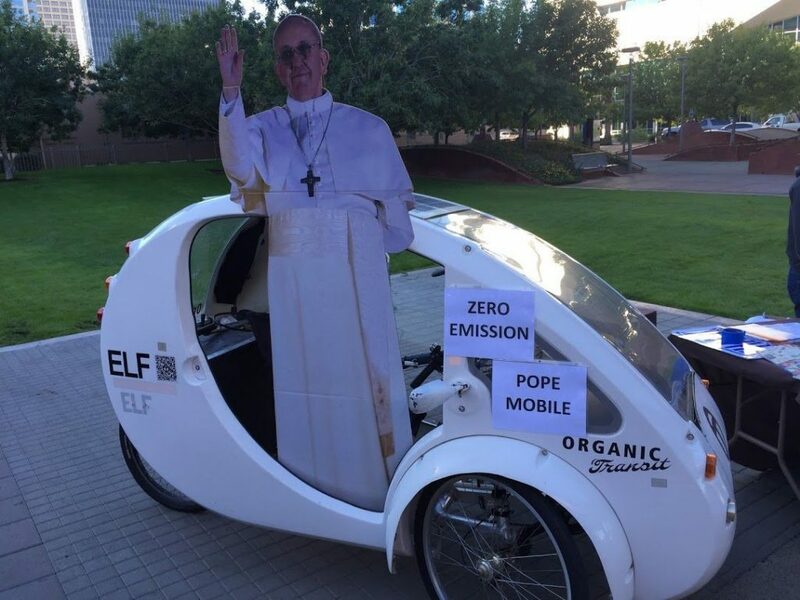 Initially the Washington state Department of Ecology came up with a proposed plan to reduce carbon emissions. Then They quickly backtracked,. In response the kids are back in court demanding action. Hopefully they will prevail. Also in Episode 30 I briefly mentioned another lawsuit brought forward by another group of youth that was proceeding through a court in Oregon. This one is getting some real traction. In fact, a federal judge ruled in favor of the 21 youth plaintiffs ages 8-19. According to Forbes, The lawsuit alleges that the Federal Government is violating the Plaintiffs’ constitutional and public trust rights by promoting the use of fossil fuels. The Complaint explains that, for over fifty years, the United States Government and the Fossil Fuel Industry have known that carbon dioxide from burning fossil fuels causes global warming and dangerous climate change, and that continuing to burn fossil fuels destabilizes the climate system. Keep an eye on this story. This may well be a game changer. I mentioned last episode that the Climate Stew podcast is coming to a happy end. This is the penultimate episode before I launch a brand new podcast. I will share all the details in our next and final episode. As I have worked on these final episodes, I have grown reflective. I am curious about effective climate communication. 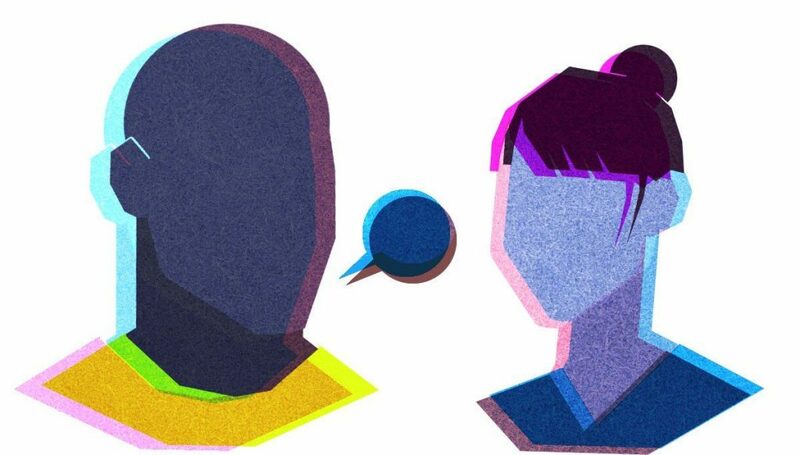 How do we get people to listen, to care, to act? In a way every episode of Climate Stew has sought to answer these questions. Climate Stew crew member Prescott Allen Hazleton recently sent me an excellent article by Amelia Urry, the associate editor of science and technology over at grist.com. Her article Everything we Know about Talking about Climate Change makes me very happy. I want to share with you some of the highlights from her article. I also want to reflect what we have been doing here and how that lines up with her findings. You will find a link to the article in our show notes. So what does Amelia suggest? Joining me is our good friend Elizabeth Jeremiah. She will read from Amelia’s article and I will comment. EJ: Hello Peterson. I’m glad to see Marvin Bloom is not here right now. PT: You two need to end this weird feud you have going on. You are like the Hillary and Bernie of Climate Stew. Ok, what does Amelia advise when it comes to climate communication? It doesn’t work in prison-deterrence campaigns, and it won’t work for climate change. Emphasizing disaster can backfire. The more we are educated about risk, the more we tend to think about disasters as 1) inevitable but 2) something that mostly happens to other people. PT: I think we have done a good job of avoiding scare tactics here at Climate Stew, the podcast that takes a serious look at global warming but doesn’t try to scare the snot out of you. I learned this from years of activism around LGBTQ issues and as I recovered from gay conversion therapy. The more fear in our brains, the harder it is to think clearly. Of course climate change is alarming, but we cannot live in a state of alarm. As communicators we may be tempted to frighten people to action, but over and over studies show that this method only gets people temporarily riled up. They soon move on, often farther away from climate action than before they got the climate fright of their lives. Similarly I see that leading with shame and guilt does not motivate people to real action. Yes, we need to take responsibility for our country’s polluting ways, but shaming people because of their actions drives them into denial and resistance. There’s a “hope gap” — even some of the people who are most alarmed about climate change don’t know what the solutions are, says Anthony Leiserowitz, director of the Yale Project on Climate Change Communication. So you need to give people the solutions — and they’re out there, from household composting to wide-scale energy reform. But this is a big problem, and the solutions need to be big, too — encourage ambitious political action, and minimize individual guilt. PT: Agreed. There are solutions to our pollution. Here at Climate Stew we have relentlessly urged people to put their efforts into collective actions that change energy policy. Yes, it is the moral and right thing to lower individual carbon footprints. But it is only a baby step. If we left it with that, we will not address the vast problem of public polluting. So much pollution happens on our behalf outside of our homes—the roads we drive or walk on, the power grid, how governments and businesses get and use energy. There are lots of solutions for large scale actions from conversation of energy to pricing carbon. People can feel small and powerless. But over and over I hear experts say that What is needed is political will. These days I tell my audiences that we have work to do. I give them three steps they can takes. learn about climate change. make it part of your regular news consumption to read about climate change. Oh, and stories mocking climate deniers do not count. We learn nothing from those. Dig into the issues and the solutions. I suggest you can focus your climate education to a particular passion you have. Discover and understand how climate change affects the thing or things you love the most. This can include pet care, food security, immigration, women’s health, golf, coffee, or LGBTQ youth homelessness. Become an expert about how climate change affects your passion. Break the collective silence. We do not have political will to enact climate related legislation because most people know so little about the problems. It is like during the HIV/AIDS crisis in the early 1980s. Only the people directly affected knew what was going on. There was silence in the media and public discourse. 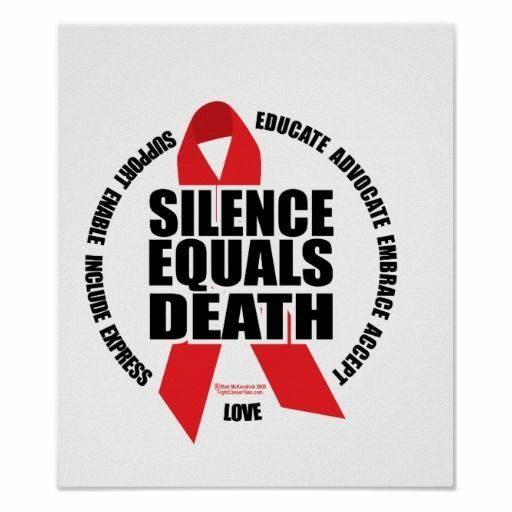 That’s when early AIDS activists created the slogan, Silence Equals Death. They creatively broke the collective silence. 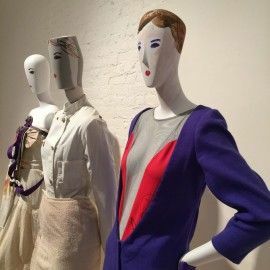 From the AIDS quilt to made for TV movies to the creation of the first ever lapel ribbon to raise awareness, they got people to see and understand what was happening. That is one of our jobs today. Through social media, at school and work, through our relationships, we can share what we are learning about climate change. You are an influential person. There are people who listen to you. As you continually bring this issue to people’s attention, they will listen. Then they too will care. Instead of urging people to “think about the children” and preserve a livable climate for future generations, new research suggests that it might be more effective to ask people to think about their legacy. PT: Ah huh, like what will people be saying about me in the future. Seems like a selfish motivation, but humans can be a self-interested specie. I get it. EJ: And here is a good one that fits in with your news story today. Though encouraging people to think about children in the abstract might not be the best approach, confronting them with real children is something different altogether. A kid urging (read: relentlessly nagging) her parents to leave her a functional planet when she grows up might have more success than hordes of clipboard-equipped environmental activists. New campaigns have started to encourage motivated teens to talk their family members into voting pro-climate. So a lot of this has to do with speaking out, communicating. And to me that is the most encouraging and affirming part of Amelia Urry’s article. She confirms what we have been doing from the beginning. We have focused on storytelling. Much better is to tell a good story. Give it a gripping plot, with a beginning, a middle, and an end (and it never hurts to have a villain). And put people at the heart of the story — not icebergs or atmospheres or endangered tree frogs. Help people understand what climate change really means on the ground, today, and what is at stake for them. PT: I think Marvin does this is some amazing ways when he talks about coffee as an endangered specie. Yes I agree storytelling skills are needed now. 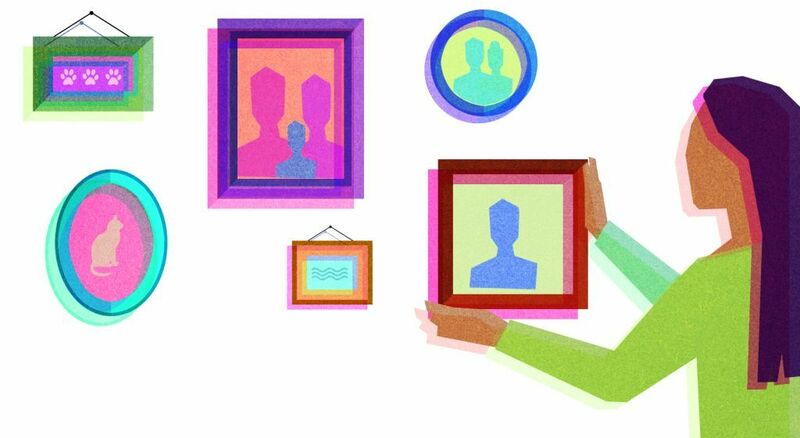 I have found too that keeping the stories personal and vulnerable help to draw people in. I have learned so much in my life through my parents, their lives and examples, but also when they died and my sisters and I cared for them. I see so many connections to why I care about climate change. I could not at first comprehend let alone believe my mom was so sick when she was first diagnosed with cancer back in 2004. I felt so much anger towards cancers and the tobacco industry. I felt terrified about the changes that were quickly happening to our family. Even to this day I find it hard to believe that this larger than life, force of nature, my mom, is no longer with us. I can understand why people struggle to believe our earth and our existence on it is threatened. It is too big to take in. The loss is too great. But it was in caring for my mom and then my dad 6 years later that I found inner resources I had no idea I possessed. Courage, endurance, strength to do what seemed impossible. This gives me hope as I consider the struggles ahead. I remember how my sisters and I and our cousins and people in the community came together and did amazing things in caring for my mom and then my dad. This gives me hope as I look at our threatened future existence and Mother Earth has been handed such a dreadful diagnosis. EJ: Normally I am uncomfortable with talk of Mother Earth, which sounds like New Age, Pagan, Devil Worship to me. But when you put it that way, about your own momma and ‘em, it brings it home to me. I don’t think I will ever stop missing my momma and daddy. PT: Thank you Elizabeth Jeremiah. While we have different ways of looking at the world and we do not agree on everything, I guess we share a lot of the same values and experiences. And at the end of the day when it comes to communicating climate change, it is about finding common ground about what matters the most for each of us. With that is time for Marvin to come with a story of his own. EJ: Well, then I guess it is time for me to depart. I’ve have a women’s conference and shopping mall event to attend where I will break about the dangers of generational curses. Hi this is Marvin, Marvin Bloom, and this is your moment with Marvin. Without Elizabeth Jeremiah. Ok, I have a new video up on YouTube about climate denial. 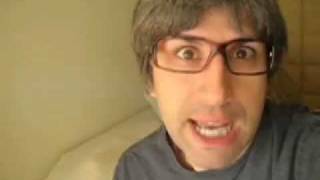 Just go to YouTube and search for Marvin Bloom Climate Denial. You will find it and a lot more of my videos. I feel very compassionate toward climate deniers, skeptics. Its like facing the loss of a parent or painful mourning some of us experienced when we lost Lady Gaga to the straight people. One way of looking at it is that the first stage of grief is denial. We resist change and all that comes with it. So we can play a trick on our minds and genuinely struggle with accepting reality. Now some people have criticized me for being too soft on denial. They say, “How do you expect me to be compassionate towards stupid people who are gumming up the works and getting in the way of climate action?” Yes, I understand your anger. The frustration. We feel a lot of it in America, the largest climate denying country in the world. And the most influential. Our unwillingness to face facts and do something about it is holding back the rest of the world. That’s infuriating. But I need to make something clear, an importance difference. I see that there are people, everyday citizens in the USA, who genuinely are struggling emotionally to accept the reality of climate change. Even lots of progressive liberal types have not yet let the full weight of the crisis hit them. It’s too hard to bear. 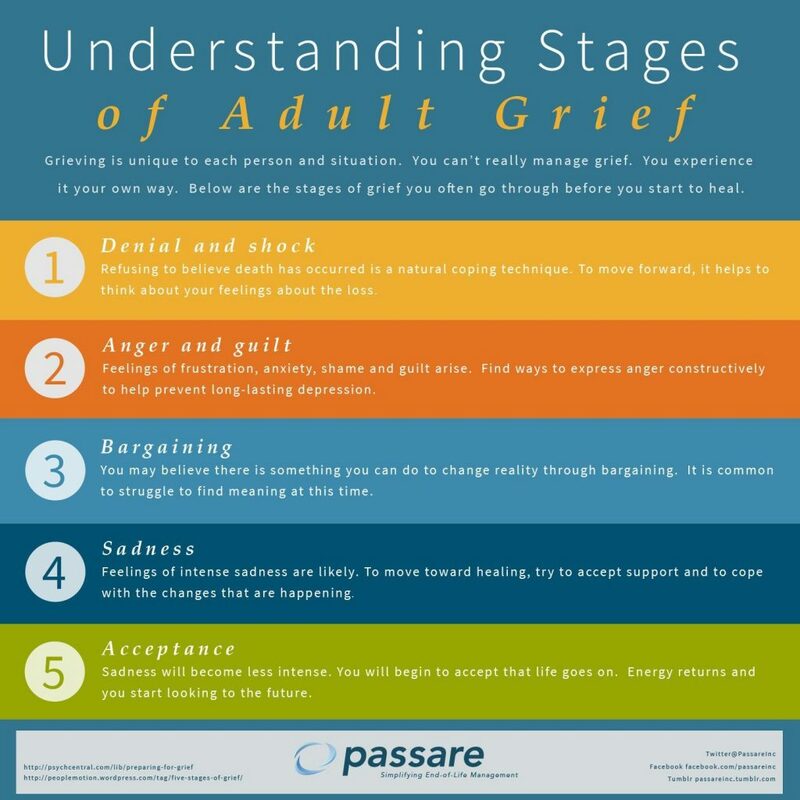 Personally I think they are stuck in the bargaining and negotiating phase of the Kubler Ross stages of grief. I hear them say, things like, “I’m concerned about climate change, in fact, we decided to pay carbon offsets so we can still go on that vacation in Disney with the kids next December.” Personally I believe Orlando is one of Dante’s more creative and expensive levels of hell. Ok, I get it, you want to make individual changes in your life as you grapple with the reality of climate change. but if we truly believe that consumers can make a big enough difference to address our national polluting problem, well that is simply another form of climate denial. It’s like slapping a new coat of paint on the deck chairs on a sinking Titanic. We need bigger, bolder responses. We need to change political will and public policy. You see most of us are struggling with some form of climate denial. And because of that I see we need to extend compassion and understanding. Denial is a very human response to change and grief. In other words for over 40 years, ExxonMobil knew that their was a problem with their product. It polluted and changed the atmosphere. They then went out of their way to develop strategies to deceive the public. What is worse for them—they also tricked stockholders—a serious crime in New York State. They are now facing state and federation investigations into their sneaky practices of deception and misinformation. Now that makes me angry. That is about making money regardless of the risk to consumers. We don’t tolerate it with faulty toys that choke kids and we sure as hell need to challenge it when it affects the air we breath and the planet where we live. That is something to get angry about. And that is something different to what I have been saying about climate skeptics. Some people are in denial about climate change because of emotional reasons. These feelings also get wrapped up in their identity and their politics. But usually it is a personal affair. But skeptics has also been helped to stay stuck where they are. In fact, all of us have been tricked, fed outright falsehoods by an organized campaign to insert doubt about global climate change and stop climate action. Companies like Exxonmobil are not Climate Denier. No. They are outright Liars. And that’s a different story all together. This is Marvin, Marvin Bloom, and this is your moment with Marvin. Whoa Marvin, you are getting fierce. And I see you are still struggling with the tragic loss of Lady Gaga’s career choices. Thank you for listening to this penultimate episode of Climate Stew. Check out our website, climate stew dot com for show notes, a transcript, music credits, and Marvin and Elizabeth Jeremiah’s latest videos. And do tune in for our final episode in a few weeks where we will have some very special guests. If you have a message you want to share on our final program, feel free to email me info @ climate stew. com that’s info @ climate stew. com OR visit climate stew dot com to leave a message or get our phone number so you can leave a voicement. Our music today is by . Special thanks to Polly Attwood, Wendy Stanford, Leslie Manning, Oh, and Joe G who to this day struggles with his grief over tragic loss of his favorite capris pants. On the Climate Stew podcast we are not afraid to get downright silly if it helps to communicate serious and important messages about climate change. One of our most popular recurring “guests” is Elizabeth Jeremiah, from the Elizabeth Jeremiah Global Worldwide Ministries in Jesus. While to some she may initially sound like a shallow, intolerant church lady dragged out of a Saturday Night Live skit from the early 90’s, our Elizabeth Jeremiah has a lot of depth to her and a natural curiosity. In this hilarious monologue, Elizabeth Jeremiah reveals the shock she felt when she discovered the existence of eco-feminists. In so doing she also reveals a thoughtful and powerful way of looking at our relationship to the earth in a time of a rapidly changing climate. If you like Elizabeth Jeremiah, you are in for a treat. Rumor has it that she is branching out into the world of YouTube very very soon. Stay tuned. This is Elizabeth Jeremiah from the Elizabeth Jeremiah Global Worldwide Ministries in Jesus with a special word just for you. As a woman in the church of God called to the ministry I have had to claw my way to the pulpit. 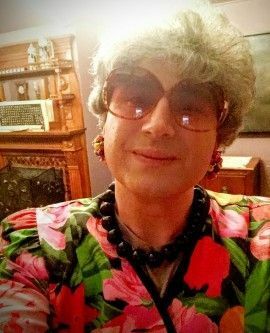 Now technically according to the male leaders I must submit to, I am forbidden to teach men, and have be relegated to women’s conferences, prayer breakfasts, and shopping mall events. Now I can’t help it if the men sneak in the back to hear me deliver God’s word. While I feel opposed to feminism because of some vague discomfort I have due to the ways that feminists are portrayed in the media and from the pulpit, how can I be opposed to the feminists’ basic tenet of equality in the workplace? Similarly while I recoil at the sight of environmentalists with their sloppy, sagging hippy fashions and their rigid impractical dogmatism, I do care about clean air and looking after our temporary earthly home that God has graciously allowed us to journey upon. I am not from the religious camp that says the earth doesn’t matter and we might as well whip up wars and trash the planet so that Jesus can more quickly return to create a new heaven and a new earth while the wicked are placed in hell, God’s eternal rotisserie oven of judgment. Both feminists and environmentalists are reviled and rejected by so many powerful people in society. So you can only imagine how shocked I was to discover that there is a group of women who call themselves ecofeminists. These are feminists who believe men have used, abused, and exploited the planet in the very same ways they have used, abused, and exploited women. They are feminists environmentalists who I have heard rumored sometimes gather for full moon menstruation ceremonies. I wonder if ecofeminism was created in some Left Wing think tank as a weapon of mass destruction in order to give Conservative pundits like Rush Limbaugh a heart attack. These likely terribly lonely ecofeminists rightly point out how domineering, and I mean that in the bad way, men have been towards women and towards the earth–sucking the life out of us and leaving us as an empty shell of our former selves. But these much maligned eco-conscious strong women also point out that the planet, like women in community, operates on “traditionally ‘female’ values of reciprocity, nurturing and cooperation” which I no doubt have witnessed at our Women of God Warrior Mothers and Daughters Annual Conference and Fashion Show. 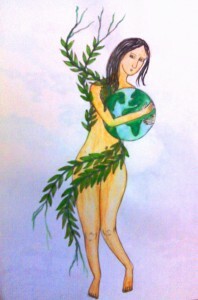 Now while the concept of Mother Earth sounds like New Age pagan devil worship to me, in theory I can appreciate the thought that Mother Earth is sick from all the poisons we have been pouring into her body and lungs (that would be the earth and the atmosphere or what I call the heavenly firmament.) 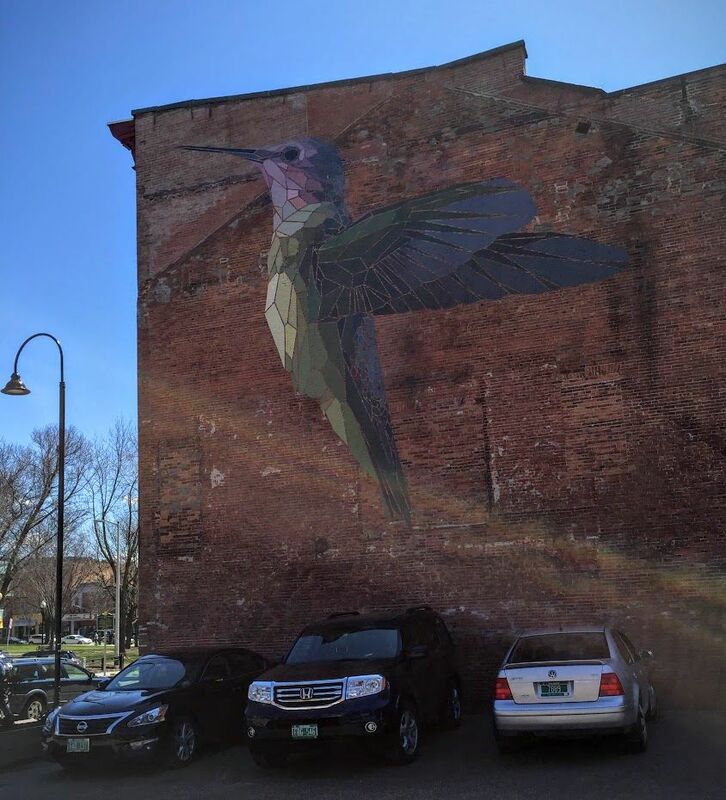 I also imagine she is sick and tired of people treading heavily upon her, leaving greasy, muddy carbon footprints everywhere, piercing her deep in her heart over and over, extracting, extracting, extracting, and never giving anything in return. I imagine she feels backed up against the wall and is growing more and more angry to the point where she is about to say, the hell with all y’all and in a righteous rage she ejects us all from this planet we call our temporary home. Lord have mercy. God tells us in Proverbs 18:19 that a brother offended is harder to be won than a strong city. Now I wonder how much harder is it to make peace with a wronged woman. When we harm someone through our greed, exploitation, and general selfish bad behavior, we are instructed to repent—turn from our sinful ways, make amends, and seek to rebuild the trust we squandered. While I have no idea how to do this with a body as large and powerful as Mother Earth, I believe today is the day that the Lord has made, and today is the day for doing a new thing. This is Elizabeth Jeremiah from the Elizabeth Jeremiah Global Worldwide Ministries in Jesus. May God bless you and keep you and your whole household too. Just like some people get put off by math, others feel overwhelmed when it comes to science. I remember when in college after I got an A in my Chaucer class, I took a Biology class taught by the husband of the professor who taught me Chaucer. Though she can’t stand to eat leftovers, Elizabeth Jeremiah can’t throw out food. The containers begin to stockpile. He looked at me like I was a foreign and possibly hostile specie and at the end of the term proceeded to give me a well-deserved D in his class. 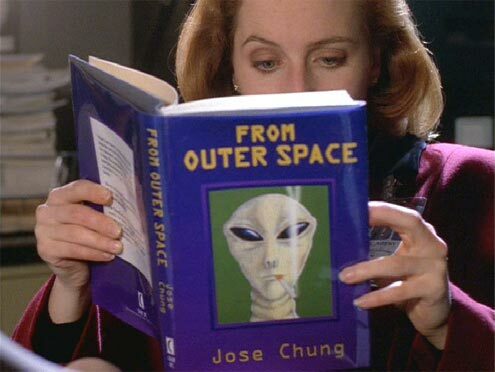 Now I am caught up in the world of climate change, and of course that means I read a lot of science. And just like I did as an undergraduate, I seek out analogies to help me better understand the science. I have found that a little humor doesn’t hurt either. If you are trying to communicate to friends about how climate change works, here is segment from the Climate Stew podcast where with the help of Marvin Bloom and Elizabeth Jeremiah, I give the very basics of climate science. 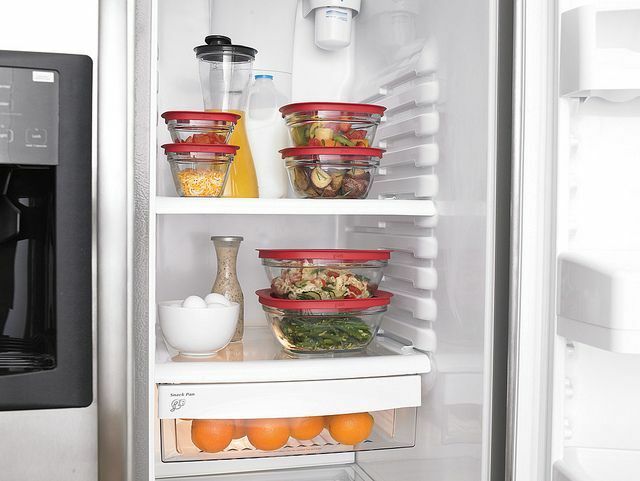 Elizabeth provides an excellent comparison of carbon dioxide with tupperware containers. Marvin helps me to better understand the role volcanoes play with our climate. Of course these two do not get along to well, so there is even some dramatic tension. Let’s talk climate science. With the help of Elizabeth Jeremiah and Marvin Bloom I present a simple primer behind the complex issue of climate change. You will get to hear Elizabeth’s very helpful analogy to tupperware, and Marvin dispels myths about volcanoes. We also get a very easy to understand short physics lesson thanks to the folks at Yale Climate Connection. 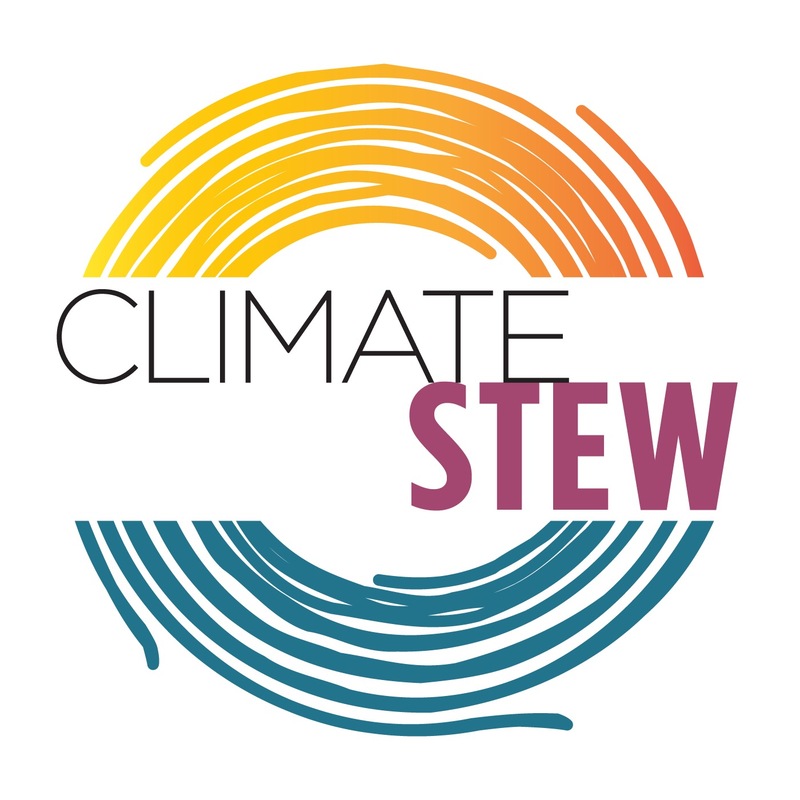 Climate Stew is available on Stitcher, SoundCloud, or Listen here on our site. Also check out our Facebook page where you can give your ideas of what you want to hear on the program. We have been on iTunes for the longest time, but lately there has been an issue from their end. Shoot even Serial had iTunes problems. Hopefully it will be sorted out quickly. To identify the cause of global warming, Doctor Anthony Broccoli of Rutgers University looks at the evidence just as Sherlock Holmes would. A review of physics leads to the primary suspect: heat-trapping greenhouse gases such as carbon dioxide. So Broccoli deduces that the greenhouse gases humans emit into the atmosphere will trap additional heat and warm the earth. Observations support the theory. To determine if this warming can be explained by natural causes alone, Broccoli turns to computer models of the climate. They show that without human caused emissions, the earth’s climate would not have rapidly heated up, as it has over the last few decades. So when you consider the evidence, it’s elementary, dear Watson . . . Recent global warming is primarily human-caused. 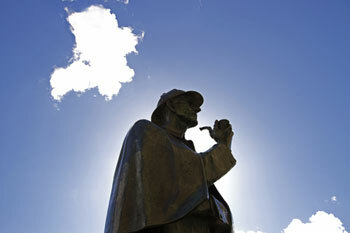 Photo: Statue of Sherlock Holmes in London (copyright protected). Peterson chats with Elizabeth Jeremiah who gives the analogy that CO2 (carbon dioxide) is very much like tupperware containers that stack up in her refrigerator. Marvin Blooms talks volcanoes and how they are not at all to blame for the warming of the planet.